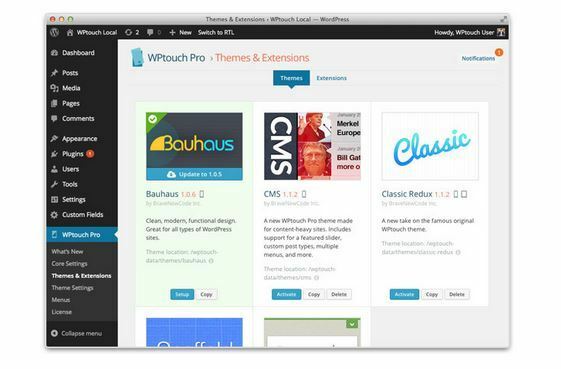 WP Touch Pro: we rely mainly on WP Touch to make our websites iPhone friendly. If you are reading this post on your iOS device, you have probably realized what we are using. The pro version of this plugin gives you more control and features, so you can make your mobile site look more professional. 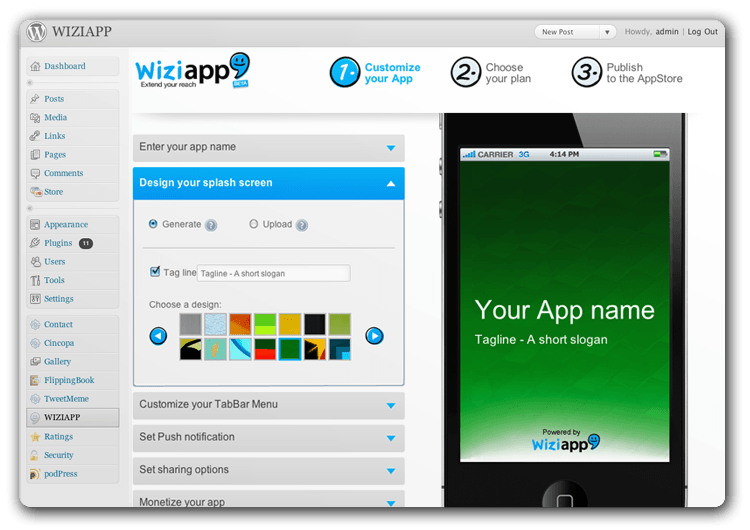 WiziApp: you can create your own mobile app for iPhone, Android, and WP8 with this. It allows you to publish your app as a native app to your favorite app stores. 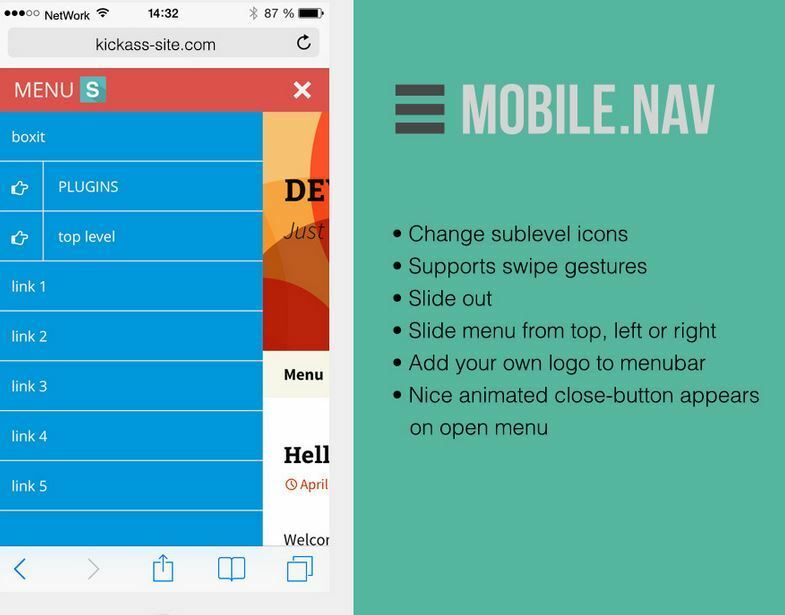 MOBILE.NAV: a responsive navigation menu plugin for WordPress. It has over 300 icons to choose from Font Awesome. It is easy to customize. App.io: lets you use shortcodes to add playable iOS app demos from App.io in WordPress posts. 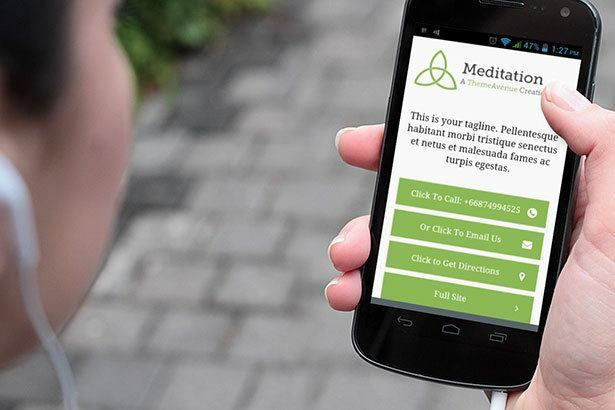 This makes your website look more interactive. 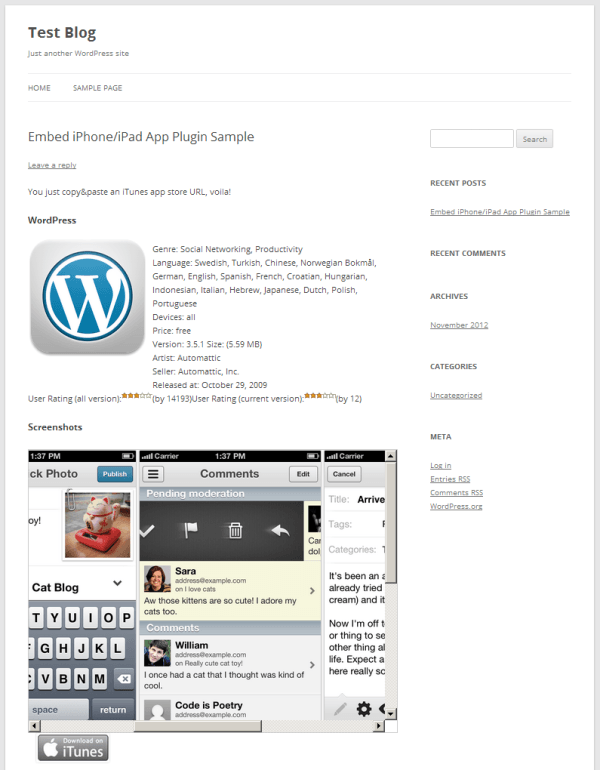 Embed iPhone/iPad App: a plugin that converts iTunes store URLs into iOS app info. Useful for app sites. 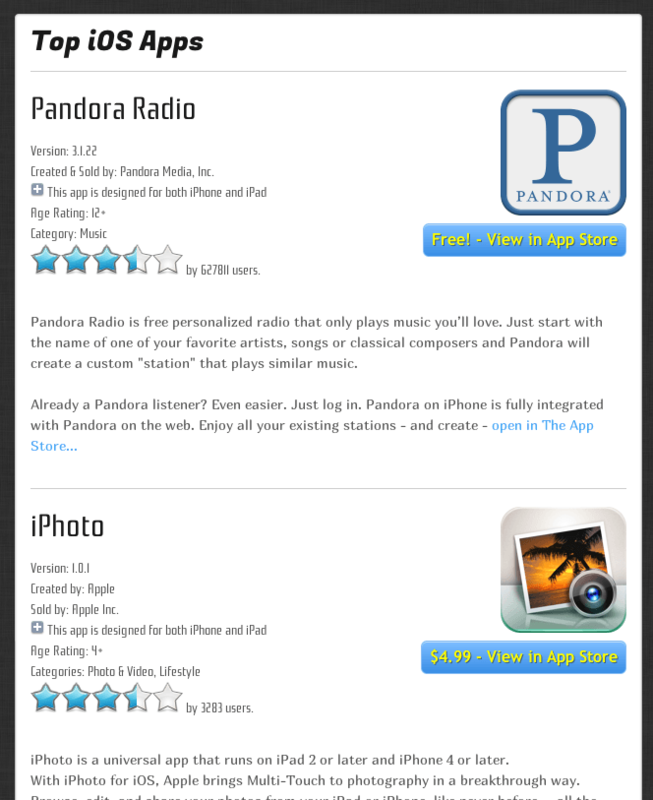 Smart App Banners: implements the Smart App Banner for your website. 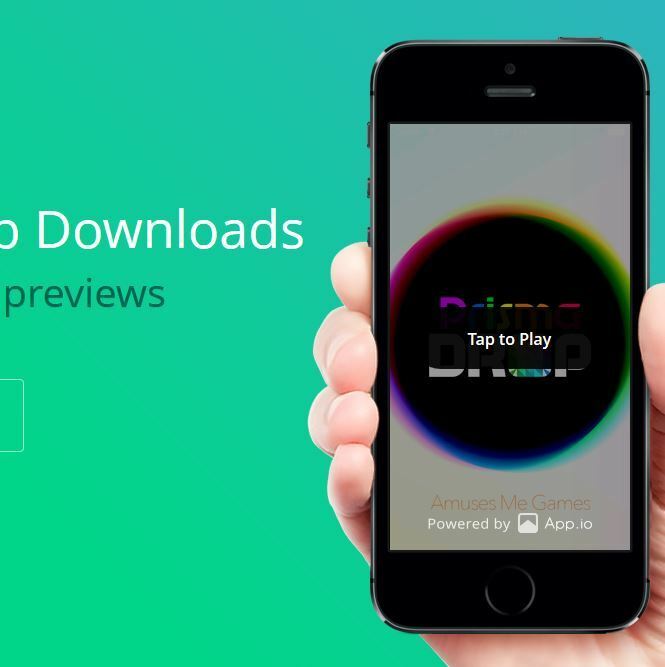 It makes promoting your app easier. WP App Store Connect: displays App Store data and charts within your posts and pages via a shortcode. It also has a widget. Mobile Login Plugins: these plugins make your website more secure by allowing you to access your admin pages using your mobile device. App Store Assistant: this App Store plugin is useful for Apple affiliates. It can display iOS, Mac, and other iTunes content on your website. It is compatible with PHG and TradeDoubler. 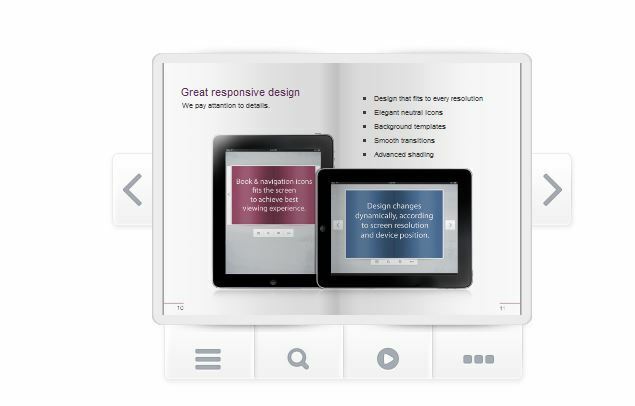 Responsive Flip Book: a HTML & jQuery driven plugin that works on desktop and mobile devices. It makes your website feel more interactive. 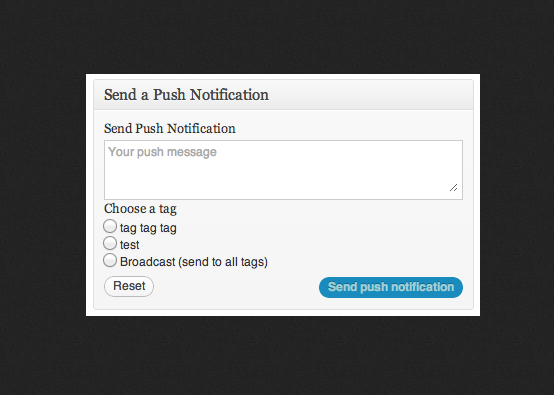 Apps for mobile notifications: you can use these plugins to send push notifications from your website to your visitors. WP Mobile Splash Page Editor: lets you create splash pages for mobile devices. 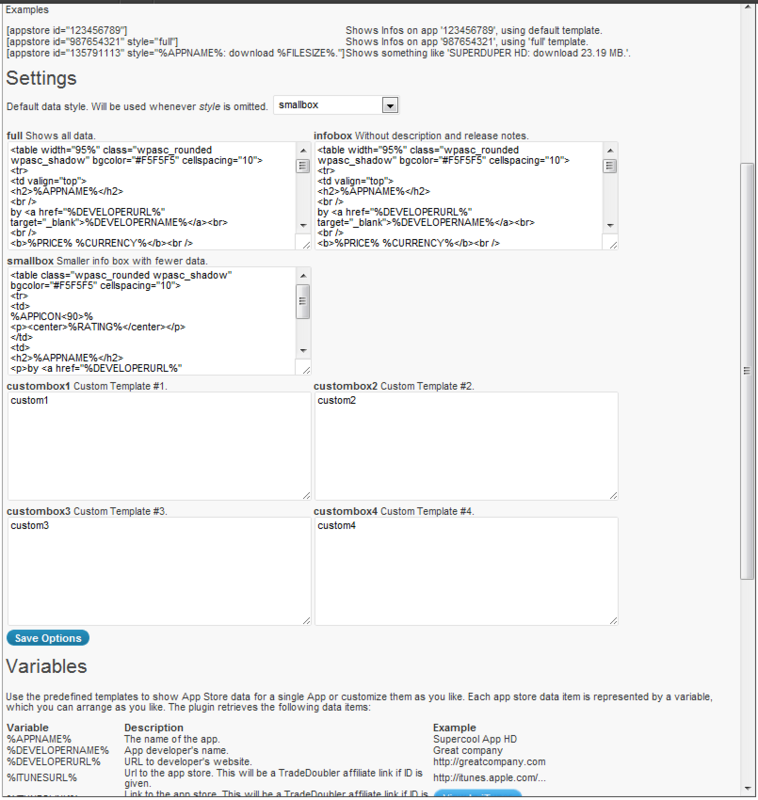 Use its visual editor to customize your page fast. Many of these plugins are also compatible with Android. Whether you want to start an app review business or make your site mobile friendly, you are going to find some of these plugins useful.